All upcoming and released video games in one place. The encyclopedia contains descriptions of role-playing games, action games, strategies, arcade games, adventure games, simulations, racing games, MMOs and so on. 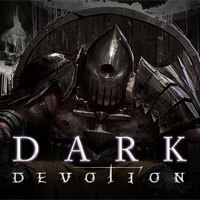 All titles have a full-text description, information on developers, publishers, release dates and system requirements. 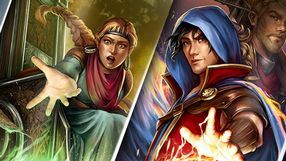 There is also a collection of editorials prepared by the gamepressure.com team (news, previews, reviews, features and interviews). Moreover, gamepressure.com also provides game guides, walkthroughs, trailers, gameplays, screenshots, demo versions, wallpapers, etc. You are welcome to leave a comment, rate a game or just give your favorite video game thumbs up. 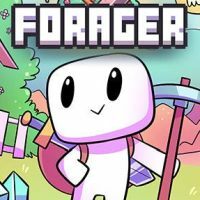 Another installment in the popular economic strategy game series published by Ubisoft and developed since 2011 by Blue Byte Software - Ubisoft's subsidiary studio known for working on The Settlers series. 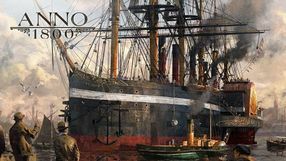 Like the previous installments in the Anno series, set across various centuries of human history, in Anno 1800, the player assumes the role of a steward tasked with establishing a prosperous metropolis. One begins with a minor settlement inhabited by a handful of subjects, who have to gather resources, erect new buildings, and create complex trade relations allowing for the fast development of the city infrastructure. During the game, the player also has to tend to the needs of the settlers and properly balance the budget, which at times of crisis can be patched up with trading the goods and increasing taxes. Diplomacy is also an important aspect of the game, as it allows the player to establish various relations, enter alliances, and wage wars with the neighboring states. 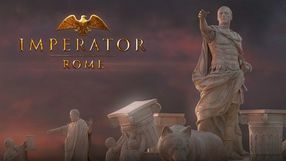 Imperator: Rome is a large scale strategy game, in which you play as a leader of an ancient nation, starting from Athens' golden age. You have many duties, such as managing your country, developing the society, economy, and military, and maintaining relations with other nations. A cooperative shooter based on the license of a movie by the same title. 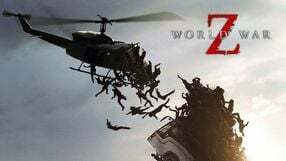 The players are taken to a world overrun by a zombie pandemic and fight for survival in Moscow, New York and Jerusalem. 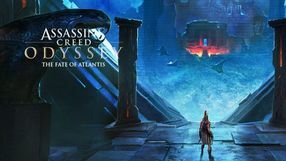 The Fate of Atlantis is a second DLC to Assassin's Creed Odyssey. The developers divided the story into several episodes. This expansion takes the players to a mythical city where they not only have to face divine beings, but also discover the secrets of the first civilization. A strategy game by Star Drifters, company set up by co-founders of CI Games (Alien Rage, the Sniper: Ghost Warrior series). Driftland: The Magic Revival takes us a fantasy world which broken into drifting pieces of land by a devastating war between mages. 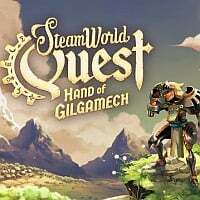 A few centuries later the player assumes the role of a mage controlling one of the surviving nations, whose objective is to gradually take control over Driftland and reestablish its lost balance. 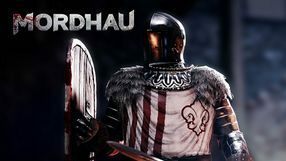 Gameplay combines real-time strategy, life simulator, and 4X strategy elements. Economy is based on resources and magic, but instead of diligent micromanagement, the game emphasizes strategic decisions and assigning objectives for your subjects. Exploration of an procedurally generated world and regular merging of individual islands in order to extend your sphere of influence play an important role in the game. The player’s army can be composed of different units, like such flying animals and their riders. Driftland: The Magic Revival features 3D graphics powered by Unreal Engine 4. An action-adventure game developed by From Software studio, which takes us the alternate reality of 15th-century Japan. 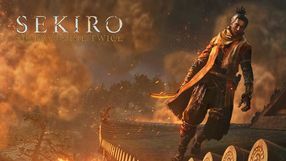 Sekiro: Shadows Die Twice focuses on an exploration of complex levels, sneaking and fights that resemble the Dark Souls series. Other features of the game are the grim atmosphere and a high difficulty level. 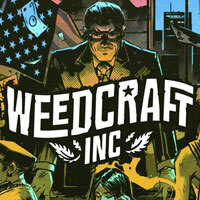 Weedcraft Inc. is an economic strategy set in the modern United States, in which we manufacture and distribute cannabis. While having fun we have to grow plants, manage staff, serve customers and deal with competition and politicians. 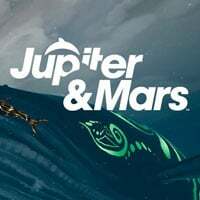 Jupiter & Mars is an underwater exploration game for PlayStation VR, developed by indie studio Tigertron. The game is set in the near future and you play as a Dolphin named Jupiter, traversing the ocean that has been devastated by the actions of man. 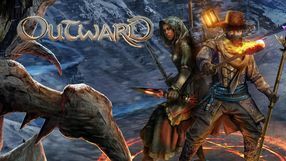 A tactical turn-based RPG developed by the creators of Halfway. The story in Pathway is set in the 1930s and revolves around powerful ancient artifacts. The Nazis search for them, trying to beat the private collectors’ associations to it. The player takes control of a group of independent collectors – Lankford & Co – and attempts to find the ancient relics before they fall in someone else’s hands. 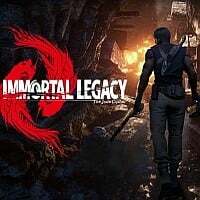 The group controlled by the player comprises some eccentric characters, who carry out a number of dangerous missions taking place in the ruins of ancient civilizations, tombs filled with traps and monsters, and even Wehrmacht strongholds. Most of these missions offer players much freedom in the exploration of large locations; however, they also require them to fight many battles using the turn-based combat system. In between the missions, the player gets to the base in which he can manage his team, talk to NPCs and make story-related decisions. 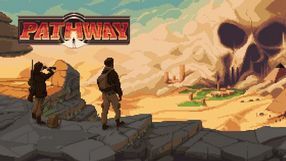 The creators of Pathway decided to implement the pixel art style enriched by modern visual effects, such as dynamic lighting. A retro pixel art game developed by the independent studio Askiisoft. The title is a combination of platform game and a dynamic action game. 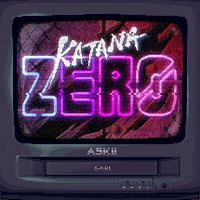 Katana ZERO takes place in a city full of contrast, during the eighties’ of twenty century. Next to rich districts there are slums with night clubs that attract shady people. The player controls a ninja warrior who wants to have his revenge. 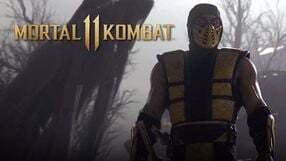 The action is presented from a side perspective and the gameplay focuses on traveling through locations and fighting encountered enemies. The protagonist can use various moves. The key to victory lies in agility and reflexes. A special drug called Chronos is helpful at some points of the game – it enables the protagonist to slow time. The title has high difficulty level – a single shot or hit can kill the protagonist. The third installment in the Western action game series called Red Dead, started back in 2004 with the release of Red Dead Revolver. 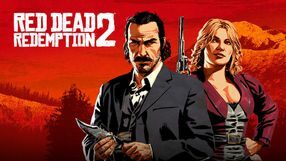 The success of its sequel, a third-person sandbox game set in the Wild West - Red Dead Redemption - has established the position of the franchise in the video games industry. The game has been developed by Rockstar Games. Two-dimensional sandbox inspired by Terraria, Stardew Valley and The Legend of Zelda series from independent HopFrog studio. Players find themselves in an open world where they collect raw materials and produce items necessary to unlock new activities. The game has no predetermined goal and leaves us free to decide what we want to do. 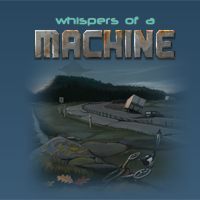 Whispers of a Machine is a science fiction adventure developed for PCs. The action takes place in the future, at a time when humanity has deliberately retreated in technological development in order to remove the threat of being dominated by advanced artificial intelligences. We play the role of a detective investigating a series of murders in a sleepy city. 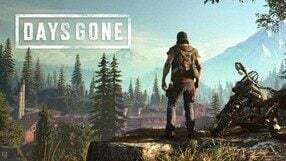 The game boils down mainly to exploring the location, conducting conversations and solving puzzles. One of the installments in the economy strategy game series started in 2001 - Tropico. The game has been developed by Limbic Entertainment - the creators of Might & Magic X: Legacy and Might & Magic: Heroes VII. In Tropico 6, the player assumes the role of El Presidente - the leader of a banana republic. The objective is to manage the country by developing the cities, providing the citizens with jobs, fixing the damage caused by various natural disasters, as well as issuing decrees that shape both domestic and foreign policies. 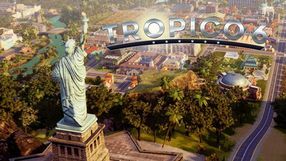 One of the novelties delivered by Tropico 6 is the fact that the action of the game no longer takes place on a single island - instead, the country is spread between multiple islands, all of which have to be managed by the player at the same time. The islands can be connected by bridges and tunnels. The game also features agents, who can be dispatched to various corners of the world to - not entirely legally - obtain blueprints for certain structures, such as the Statue of Liberty or the Eiffel Tower. Moreover, the developers decided to allow the players to modify the main palace and appear before the society. During a speech, a player can e.g. make populistic promises. A first-person shooter/survival horror developed by Chinese studio VIVA Games. 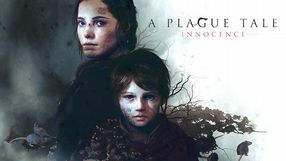 The player assumes the role of an adventurer attempting to discover the secret behind human experiments undertaken by a powerful organization whose sole objective is to hold the key to immortality, disregarding collateral damage in the form of bloodthirsty beings that inhabit the isolated areas of the lone island which serves as a background to the game. 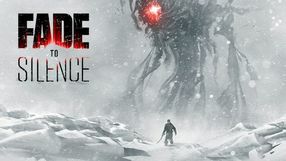 In the game the player traverses claustrophobic areas lighting his way using torches and flashlight, encounters mutated opponents, or overcomes complicated obstacles and puzzles. 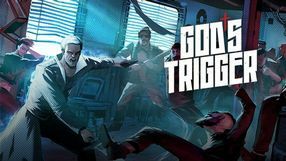 The game requires virtual reality goggles and a motion controller – the player controls the head movements, enabling them to travel freely around the world as well as use firearms and other equipment. RPG game, in which you will find a turn-based combat system based on cards collected during exploration and clashes with enemies. The production also has a beautiful, hand-drawn 2D graphics. Image & Form Games studio is responsible for its creation, and Thunderful Publishing AB has taken the role of publisher. Economic strategy belonging to the city builder subgenre. 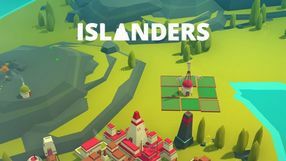 Islanders is characterized by a minimalist approach to gameplay and graphic design. 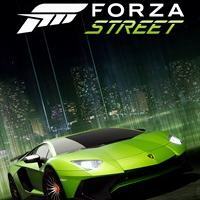 The production was developed by an independent studio GrizzlyGames.